Talking about Indonesian Tales, the theme of the 16th week's of English Friday, I confused to choose which tales I should talk about. I only remembered about Kancil thus I would write the value from Kancil tales for this challenge. 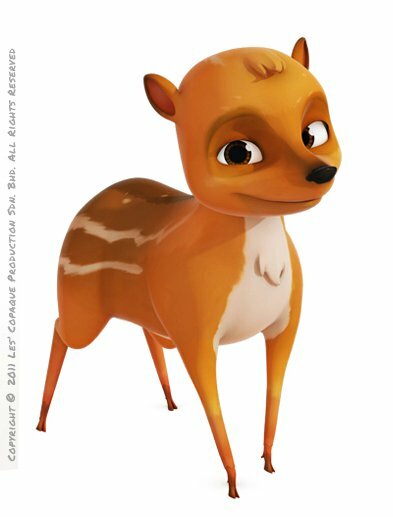 Kancil is a mammal with four legs, similar with a deer. described as an clever animal in every story. Kancil became protagonist and the main character in many tales. The partner character in the stories were lion, tiger, turtle, elephant and rat. Kancil was a hero in his tales. He rescued himself or other animal, although he had to deal with a strong enemy just like a lion and a tiger. He still could think cleverly in a difficult situation. But, sometimes he should take lessons from his bad manner. For example, when Kancil had a race with turtle. Kancil underestimated the turtle, he thought that he would win because the turtle was super slow in every move. The turtle cooperated with his friends to win the race, they tricked Kancil. So, however smart and great we were, don't underestimate other people. From the tales , it could be concluded that we have to as smart as Kancil while facing our problems however big and difficult it is. But don't be arrogant and dismissive to other people. Kancil memang jadi tokoh baik di beberapa kisah ya. Kecuali kancil mencuri ketimun.